Imagine spending your Summer Camp experience on one of the largest man-made lakes in the world? 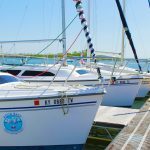 Then still, imagine spending that week on board a beautiful Catalina or Hunter sailboat with your best friend experiencing team work and learning nautical skills! 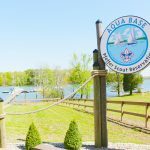 The Lincoln Heritage Council is proud to sponsor Aquabase at Camp Roy C. Manchester. Medical Form – please bring a copy of this to camp when checking in, for each individual attending.